How many people know, as their train rushes through the request stop of Rogart, that they will also pass a memorial to the moving spirit behind Canadian transcontinental railways. 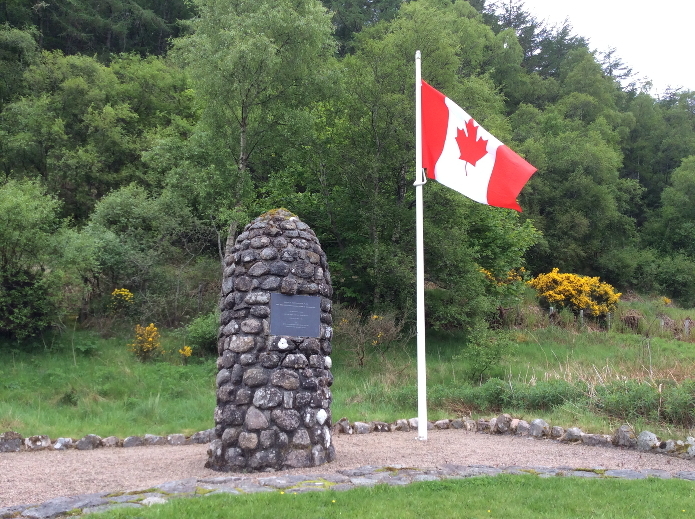 Just west of the village is a cairn and Canadian flag to the memory of Sir John Macdonald, first Prime Minister of Canada. His grandparents lived on the site of the cairn and their cottage provided the stone for its building in 1968. So far as is known, he never visited Rogart. In retrospect a rather controversial character of whom much is written on the Internet.